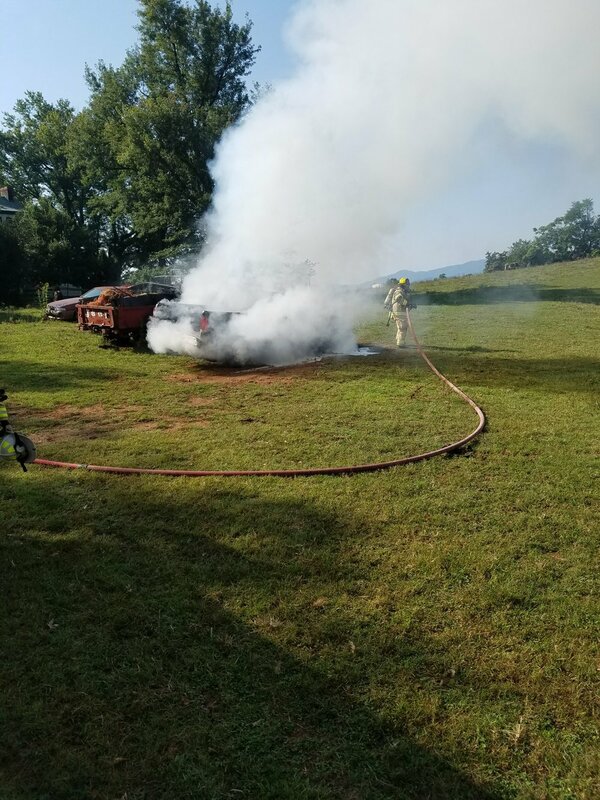 Wintergreen Fire Department was dispatched to a car fire threatening a structure. 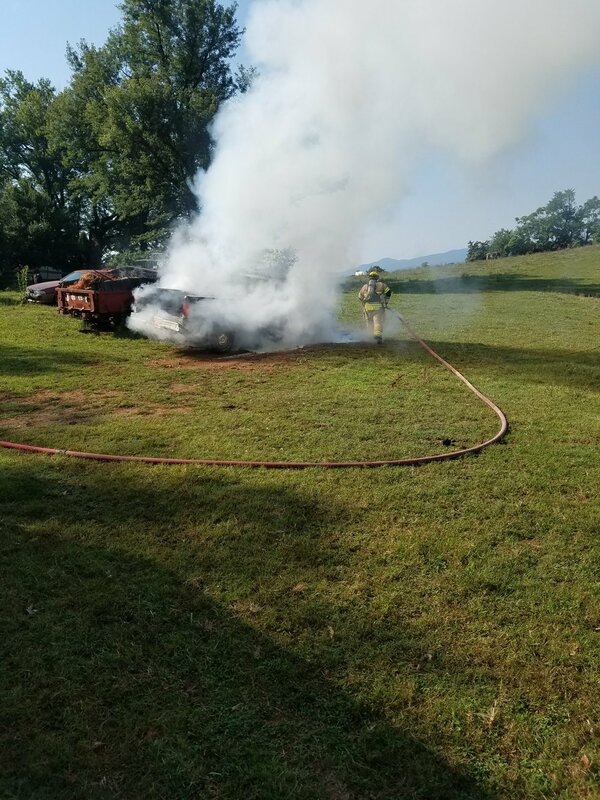 Units arrived on scene to find a farm use pickup truck fully involved. The vehicle was approximately 100 feet away from a residence. 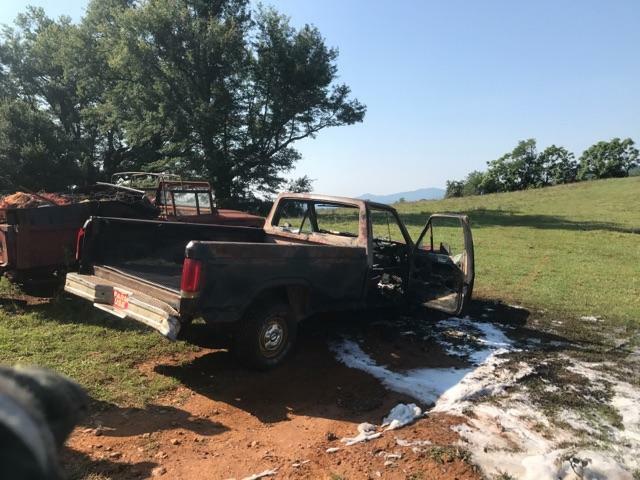 No other vehicles or property were damaged in the fire. Crews on scene were able to get a quick knock down of the fire. 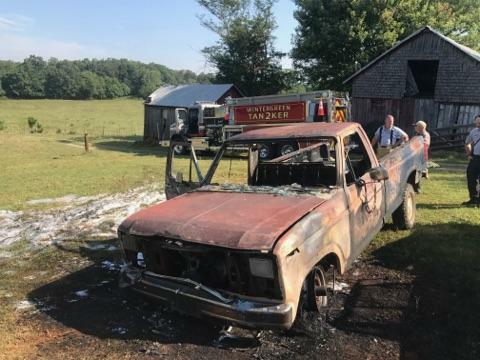 Units on scene were Wintergreen Tanker 2, Chief Crawford, Chief Riddle, and Virginia State Police. 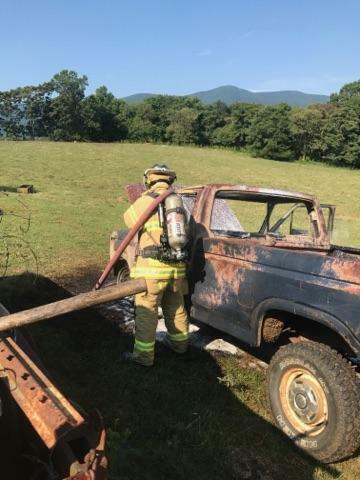 Rockfish Fire Department did have units enroute, however were placed in service by Incident Command.